PAMPERS & CALMS YOUR BABY - A tranquil bath is one of the best ways to do that. Marama Naturals has formulated their soothing Baby Shampoo & Wash with natural ingredients, allowing you to gently quiet your precious baby as you wash.
SCENTED WITH CHAMOMILE AND LAVENDER - our natural scents offer the ultimate aromas for relaxation. Combined with aloe, jojoba, rosehip, and other essential oils, our Baby Shampoo & Wash not only softly cleans your baby's hair and skin, but calms and helps them sleep more peacefully. QUIET BUBBLE BATH OR A CLEANSING MASSAGE - it's your choice. Use a small amount on a cloth, in the water, or even directly on the baby's hair or skin. 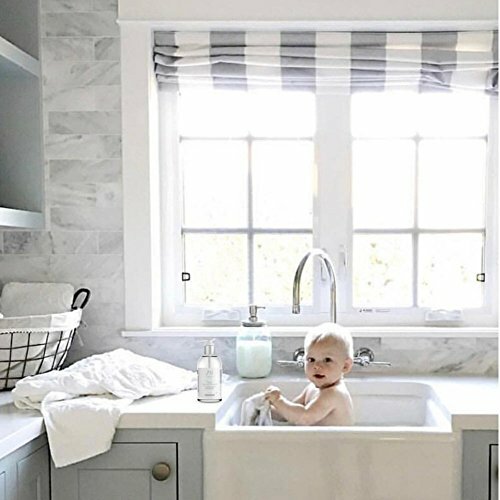 Softly clean the baby, rinse, and then enjoy a peaceful night's sleep. If you'd like, you can even use the Baby Shampoo & Wash for the whole family. OUR PROMISE TO YOU - If for whatever reason you're unhappy with your purchase and you require a refund or replacement item you must contact us to let us know within 7 days of receiving the goods. If you have any questions about this product by Marama Naturals, contact us by completing and submitting the form below. If you are looking for a specif part number, please include it with your message.